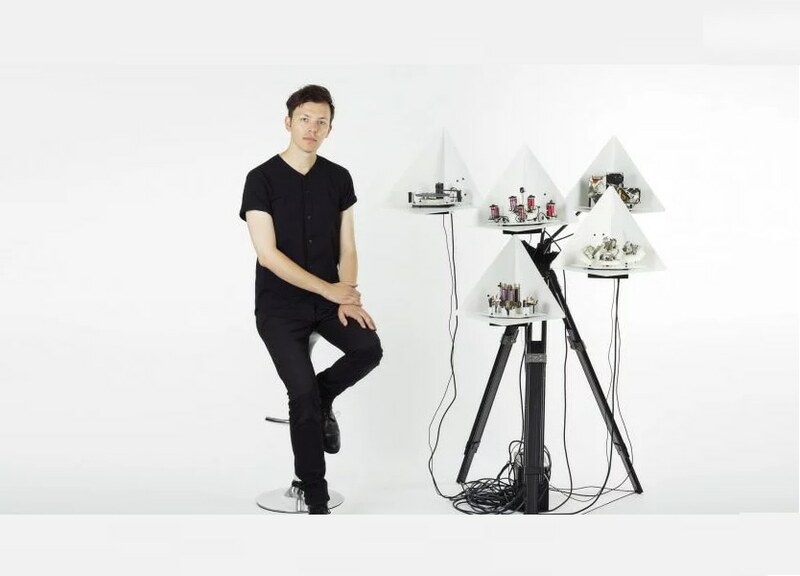 Moritz Simon Geist uses sonic robots to compose robotic electronic music meaning his music relies on hardware, not software, to create beats. This October, his EP "The Material Turn" will debut. 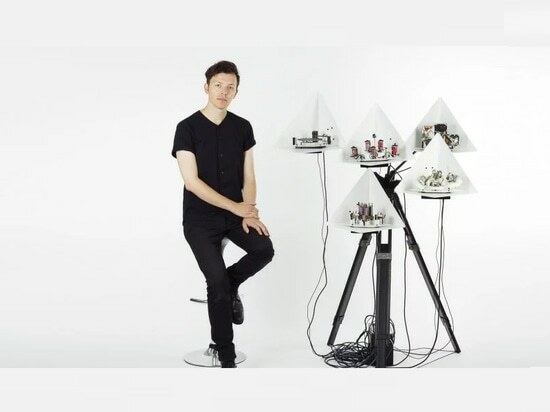 Moritz Simon Geist is working on reinventing the future of electronic music with the help of sonic robots. He is a robotics engineer slash musicologist and performer. This October, he will debut an EP, called The Material Turn, with four robotic electronic music tracks created with only self-fashioned instruments. Geist began making electronic music in the 1990s after a childhood of playing clarinet, piano, and guitar. But, he didn’t enjoy that electronic music was all created using software on a computer. Geist’s first instrument took him three years to build. 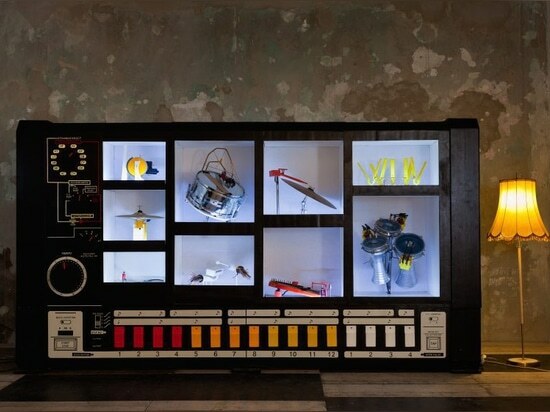 It was called the MR-808 and was a large box which contained robotic parts and traditional drums to recreate the sound of a Roland TR-808 drum. It even looks similar. This was the project that inspired Geist to continue building instruments. He dropped out of his Ph.D. program, quit his research lab job and threw himself into creating robots. 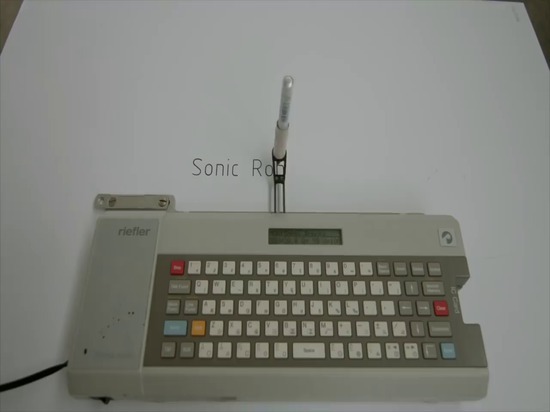 Some of his early robots included a 3D printed machine which creates metallic noises called The Glitch Robot. Now, Geist creates his instruments at a workshop in Dresden, Germany. 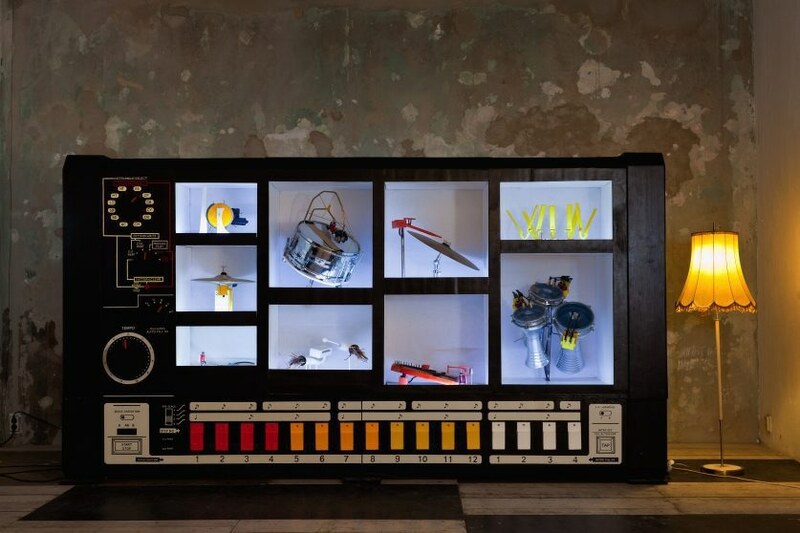 His latest creations include instruments such as a droning guitar, percussive beat machines made from hard drives, robo-kalimbas and a screwdriver tapping a metal lid. He engineers some instruments, such as the kalimba, to make a specific sound with the help of 3D printing. But others will be salvaged scraps which make a pleasant sound. However, all of the instruments provide visual components. Geist adds that this helps provide a new way to experience music. He’s certainly pushing our expectations of electronic music-making in an interesting direction.